His research focuses on the development of "big data" machine learning for tracking the health of complex systems. His [previous research] resulted in patented systems for jet-engine health monitoring, used with the engines of the Airbus A380, the Boeing 787 "Dreamliner", and the Eurofighter Typhoon. Since 2008, he has translated his work into the biomedical context for healthcare applications. He has worked on [Visensia], the world's first FDA-approved multivariate patient monitoring system, and the [SEND] system, which is now used to monitor 20,000 patients each month in the NHS. His research has been commercialised via university spin-out companies OBS Medical, Oxehealth, and Medyc, in addition to collaboration with multinational industrial bodies. 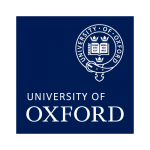 Professor Clifton teaches the undergraduate mathematics syllabus and biomedical syllabus in Engineering Science, runs the graduate course in machine learning at the Oxford Centre for Doctoral Training in Healthcare Innovation, and teaches engineering policy at the Blavatnik School of Government, Oxford. He is a founding Associate Editor of the IEEE Journal of Biomedical & Healthcare Informatics (JBHI), and is the Associate Director of the Oxford Centre for Affordable Healthcare (OxCAHT). In 2016, Professor Clifton was awarded a Grand Challenge award from the EPSRC, which is a personal award that provides long-term strategic support for nine "future leaders in healthcare".